SAINT LOUIS, MO (October 25, 2016) - Recent studies by researchers at Washington University show that students forget 70 percent of what they are taught within the first 24 hours after the initial learning event. When it comes to workplace training, it can be assumed that these figures stay the same. If an employee cannot retain the information they’ve learned after a training session, then why attend? It’s a waste of time for the company because it doesn’t reap the benefits of a highly-skilled workforce, which can improve revenue and overall company success. To combat the learning decay, ej4 is launching a new training reinforcement program, 4tify Your Learning™. 4tify provides users with follow-up exam questions and a video recap after each training session through its award-winning LMS, Thinkzoom. Users are notified to complete a short quiz two days after the initial course. To further their retention, the learners will receive another question in two weeks, two months, and a quick video recap (average of two minutes) of the entire course four months later followed by a short exam question. 4tify’s main goal is to help transfer knowledge from short-term to long-term memory. When this happens, employees feel more confident, engaged, and knowledgeable. In order for employers to benefit financially from providing training, this reinforcement ensures that every dollar they’ve spent is a positive return on their investment. 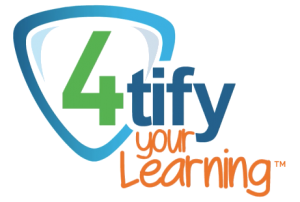 4tify your Learning™ is available exclusively on ej4’s LMS platform, Thinkzoom. With Thinkzoom, employees can view training content in a user-friendly, engaging way. Through the use of leaderboards, badges and interactive exams employees stay up-to-date on the skills they need in a fun, interesting way. For more information or to view ej4’s training courses, please visit ej4. Founded in 2004, ej4 is a leading provider of online video training solutions. Closing the gap between potential and results, ej4 provides an adaptable on-demand learning experience for companies throughout the world. Led by some of the most dedicated and knowledgeable professionals in the industry, ej4 continues to be a trailblazer in the eLearning industry.